It looks like we finally have the blueprint of the main WWE WrestleMania 31 card. The main card may lack the zest of last year’s event, yet the excitement coming out of Fastlane is a sign in the right direction. 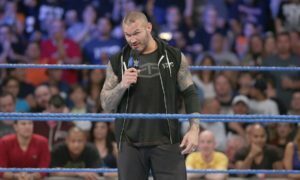 There were no real surprises at Fastlane, especially if you have been following the backstage rumors and social media spoilers over the last few weeks. But what we did was a rock solid direction heading into the big March 29 event. I was underwhelmed a few weeks back when the card looked to be taking shape, but Fastlane offered a glimpse of hope. Here is what I took away coming out of Fastlane, as well as the latest news and rumored matches. Brock Lesnar vs. Roman Reigns for the WWE world title – This one is going to be a lot of fun for all of the wrong reasons. While I do think the WWE needed to focus on Reigns, it was clear at Fastlane that the fans aren’t buying him. This match could get Goldberg-Lesnar ugly really fast without some creative booking. It’s unfortunate as I think six months ago this match could have been big. Yet the WWE booking of Reigns has been so terrible, that they have single-handedly ruined this guy’s momentum. The only answer here is a double-turn at Mania otherwise it will get real ugly by the end of the match. The Undertaker vs. Bray Wyatt – I don’t know how you can logically book this match. So Taker is going to return to shut a nobody up that called him out once and ignore Heyman and Lesnar’s mockery over the last year? The only reason the Undertaker should be returning is to avenge his loss to Brock Lesnar. Granted, they may be saving that for Texas Stadium but if so, Taker should not be wrestling at all. Maybe make a surprise appearance? That said, the reaction at Fastlane for Bray Wyatt’s promo was promising. If I was to base interest in this match on the crowd heat at Fastlane, I’d guess that the fans are really going to be into this match. It will be different and I hope Taker can silence his critics. I just can’t help but think about all of the money being left on the table with a Lesnar rematch. John Cena vs. Rusev for the U.S. title – I’d expect some kind of stipulation to be added here. I liked their match at Fastlane a lot. I’ll disagree with a lot of people and tell you that I thought it was the best match of the night. I have no problem seeing them wrestle twice. The finish was kind of wonky, but I never have a problem with seeing a really good match twice. Cena as U.S. champion is interesting as well. Quite honestly I’d put Rusev over here and build him up for a run with Reigns or Lesnar for the title. But I’ll save that for my predictions blog. Sting vs. Triple H – When Sting and Hunter set the table for this angle at Survivor Series I was about as disinterested as I could get in this feud. I had zero interest in watching these two wrestle. That said, I am actually looking forward to the match coming out of Fastlane. I think they had great chemistry in Memphis and I think that they can really pull something good off here. Sting has his limitations as we have seen in TNA. Sting has also had some decent matches with the right guys in TNA so it isn’t as if he is done. The chemistry is working for me here and I have to hand it to these guys. They completely turned me around at Fastlane. Mark my words, this will be the main-event of WrestleMania. It won’t be the last match but this will be the match that draws the most interest and gets the most attention by the time we get to the event. Seth Rollins vs. Randy Orton – I think we can all agree that Jon Stewart of the Daily Show will play a part in this match. That’s fine, although this angle does not seem very organic at all. It will be great publicity for all involved. Quite frankly I am not sure how WWE pulled this one off. They did and it will happen at Mania. I think they’ll have a good match, maybe the best on the card if given time. Daniel Bryan vs. Sheamus – All of the latest rumors point to a Bryan vs. Sheamus rematch. According to several reports, this was the direction they wanted to go in all along. It seems like a huge waste of Bryan and a big dropoff from a year ago. The WWE are determined to squash the Yes Movement and this is a step in the right direction. It’s a shame but I can’t see we didn’t see it coming. There are other probable matches like Ambrose vs. BNB with a stip, something with the Rhodes brothers, and maybe the Bellas vs. Paige and a celebrity tag team partner. Overall it is a pretty solid lineup for Mania. Nothing stands out and while it is not nearly as exciting as last year, it is a far cry from WrestleMania 9 as well.